Typical Bank Holiday weather on Saturday 27th May when the heavens opened and rivers in the North West burst their banks. Localised flooding in parts of the water catchment area will have caused some damage, but the day after the floods was warm and sunny. Brood sizes were knocked back from elevens plus, to sixes and sevens. June was a month of contrasting weather with regular rain showers on odd days interspersed by warm sunny days on others. We were fortunate not to have had longer periods of wet weather with no break in the clouds; at least the grouse chicks could dry off between the showers. In mid June the temperatures soared to a 40 year high of 30 degrees +, even in the North of England! In early July, cold wet weather dominated but fine conditions returned on the 5th. By now grouse chicks were strong enough to withstand bad weather. It is still too early to count grouse on the North York moors which are a couple of weeks later than central and Western moors. The same applies to the Scottish Highlands. We will know a lot more by the end of the first week in August and a pre season news letter will be sent then. The letting market is warming up once again as the season approaches and this coincides perfectly with new instructions to let additional days later in the season. 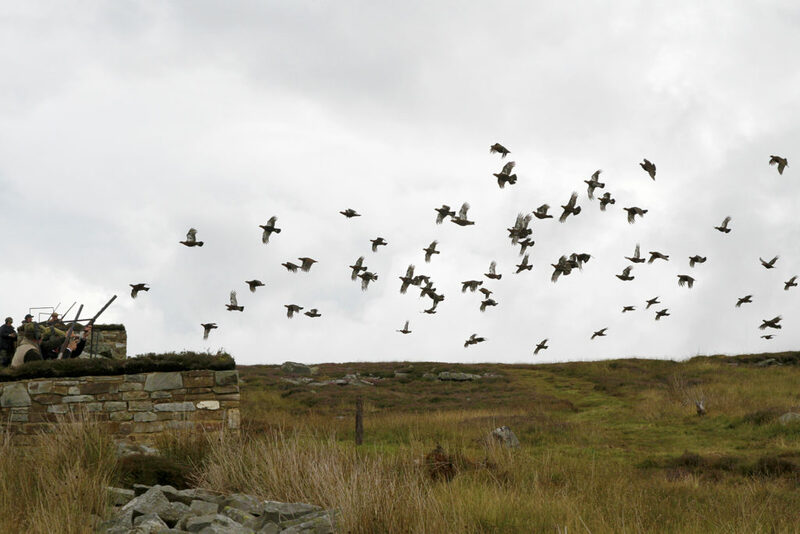 Do contact us if you are looking for more grouse shooting as we can usually help through our large network of contacts.